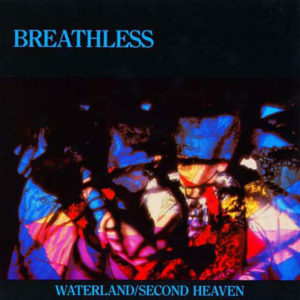 We’ve discussed UK post-punk band Breathless here before in the past, and I can’t overstate their importance enough. They are, by and far, one of my all-time favorite bands- such beauty, brilliant songs, and one of the best male vocalists of all time. Also, unlike most of our artists here, they are still active, releasing the incredible Green to Blue LP in 2012. Most of their catalog has since been reissued digitally for download/streaming. That said, a few of their earliest singles have yet to be compiled, perhaps a tape sourcing issue or oversight. Most absent from their digital catalog (outside of the cathartic “Bad Blood”) is their debut 7”, Waterland from 1984. With that in mind, I’ve finally picked up a copy and made a passable rip for you all to enjoy. A few words of warning- the pressing on this 7” was a bit dodgy, but a little cleanup went a long way with this one. More importantly, while the ingredients that make them such a compelling band are still on display here, these two tracks are more primitive- darker, heavier, much more intense than some of the material that would follow. There is heavy dub-inspired bass and buzzy synths on the excellent “Second Heaven”- the real standout for me on this single, though the powerful ending of “Waterland” is nothing to shake a stick at either. Either way, perfect sounds to kick off your Autumn. Enjoy! PS- be sure to check out the lyrics for these tracks on the Tenor Vossa website!